The Cogito is the most elegant of the currently available smartwatches/Connected watches. Whereas the average Smartwatch is designed as a stand alone smart device that functions in tandem with the user’s smartphone. Cogito is designed to be used simply as an extension of the smartphone. 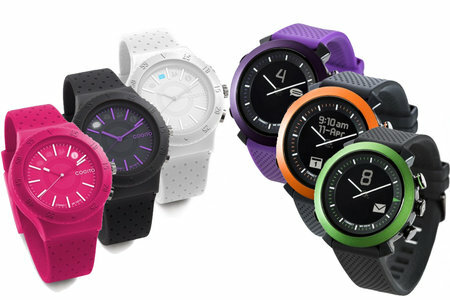 Nonetheless, the Cogito Connected Watch offers messages and alerts display, and smartphone camera control. These features, combined with sophisticated styling makes the Cogito a top choice for someone not looking to carry a full-fledged computer around on their wrist.